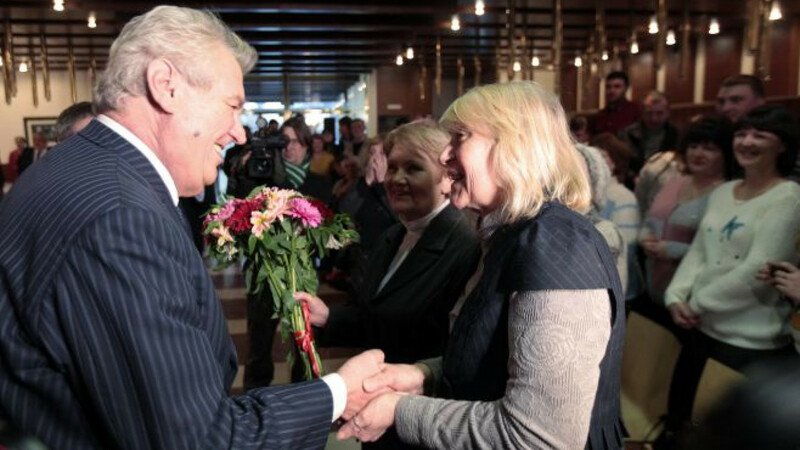 Czech Republic's President Milos Zeman (L) welcomes a group of Ukrainian Czech repatriates at Prague's Ruzyne Airport March 15, 2015. The Czech government has granted residence permits to a group of some 140 people from eastern Ukraine over the security reasons in the area. The Czech president has decided to miss a military parade during a visit to Moscow next month, a spokesman said Friday, after coming under pressure for being one of few European statesmen planning to attend the Victory Day celebrations. 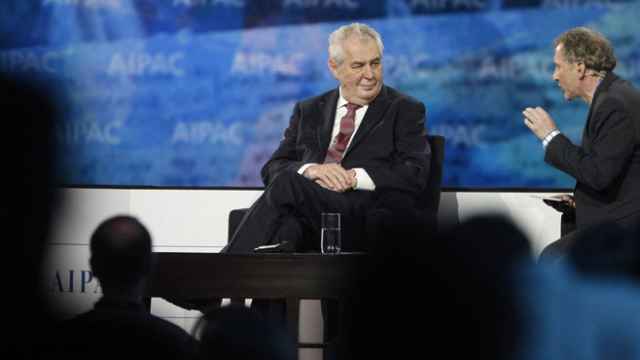 Milos Zeman's plan to join the event had led to a spat with the U.S. Ambassador to the Czech Republic. The ambassador has said it would be unfortunate for Zeman to attend the parade at a time when Russian troops are destabilizing a neighbor. European Union leaders are boycotting the ceremony over what they say is Russia's role in the conflict in Ukraine. 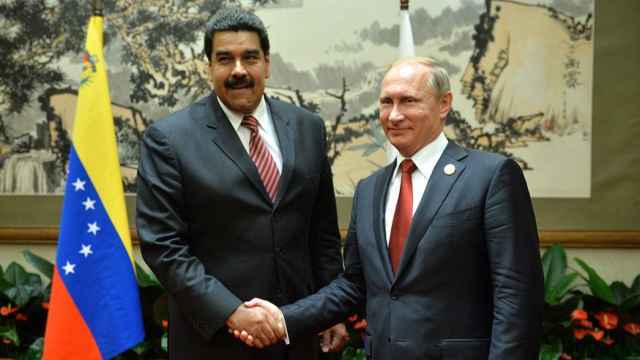 Moscow denies Western accusations that it provides rebels in eastern Ukraine with money, arms and troops. Zeman's trip also raised objections from junior partners in the center-left coalition government as well as right-wing opposition parties. 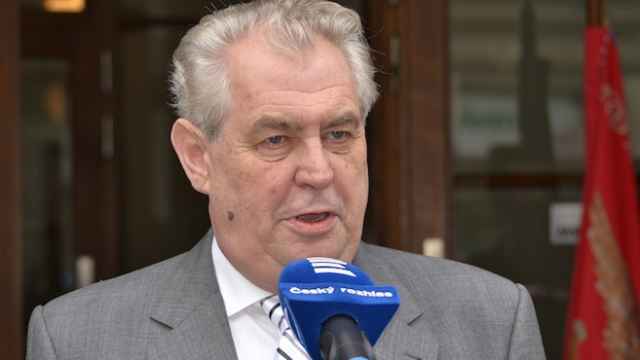 Milos Zeman's spokesman said the president had made a "sovereign and independent" decision to visit Moscow on May 9 to commemorate World War II victims but to skip the parade. "The president will use time devoted by the organizers of the Moscow celebrations to the military parade ... for a bilateral meeting with Slovak Prime Minister Robert Fico," spokesman Jiri Ovcacek told reporters. 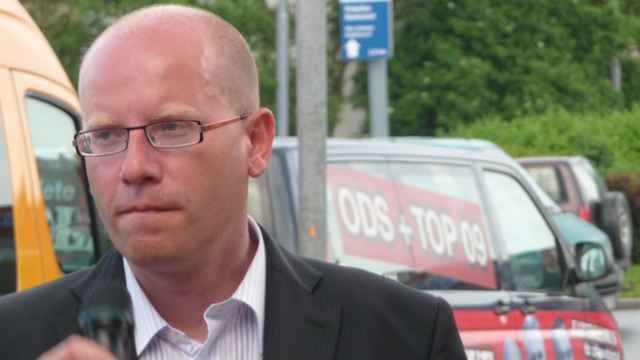 The Slovak government office said Fico's program for May 9 would be released at a later date. Zeman has repeatedly criticized sanctions against Moscow imposed by the West in response to the annexation of Crimea and the conflict in eastern Ukraine, and has generally taken a more pro-Moscow stance than the European Union and NATO member country's government, which is responsible for foreign policy. The cabinet has delayed the decision on whether to approve Zeman's visit to Moscow until next week.